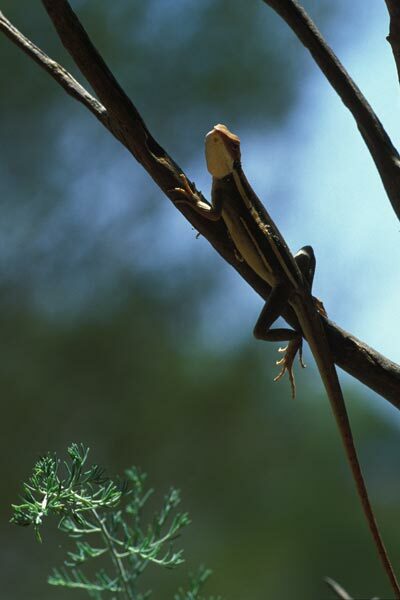 This species has bounced back and forth between several genera as further studies continue to clarify the relationships among Australian agamid lizards. It has been at various times classified as Lophognathus, Physignathus, Gemmatophora, and Amphibolurus. Now it has been placed in the newly-constructed genus Gowidon. 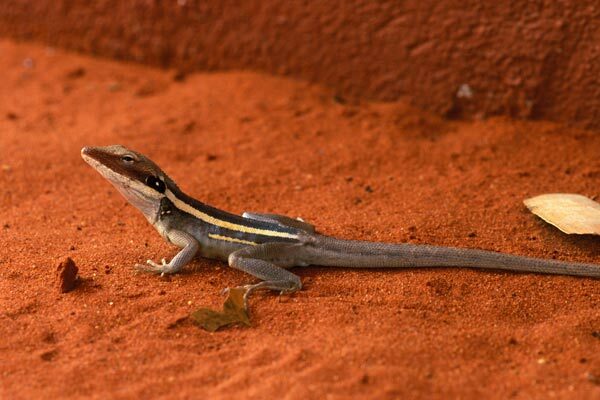 Alice Springs Desert Park is a world class showcase of Australian desert flora and fauna, and its natural setting brings in a variety of local wildlife in addition to the captive species. 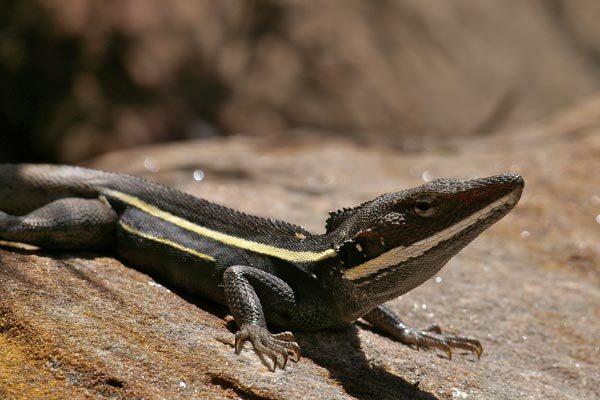 On a blisteringly hot day, we saw several of these attractive and speedy lizards patrolling the grounds. These lizards have ridiculously long tails, and this one's was swaying back and forth in the warm desert breeze as it basked on a post marking the trail. 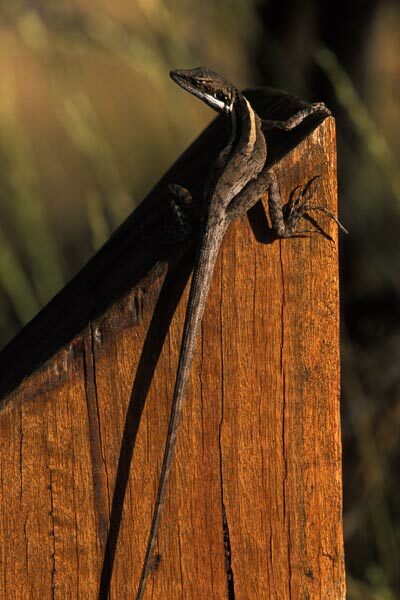 I'm thinking they should consider renaming this species "long-tailed dragon". The nose is indeed fairly long, but the tail is what really impresses me. 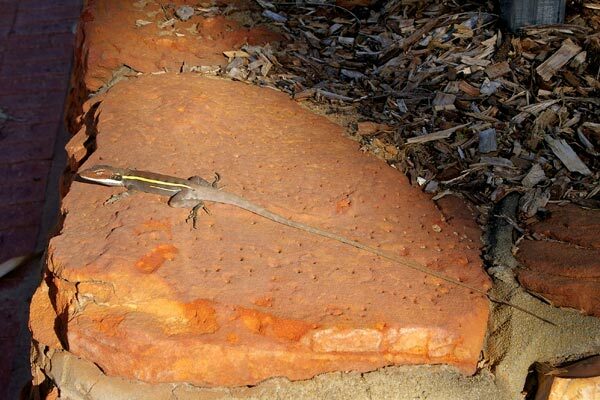 This long nose-and-tailed dragon was basking in the late afternoon sun on the grounds of the Kalbarri Palm Resort, where we stayed for a couple of nights. Another impressive specimen of this attractive species. 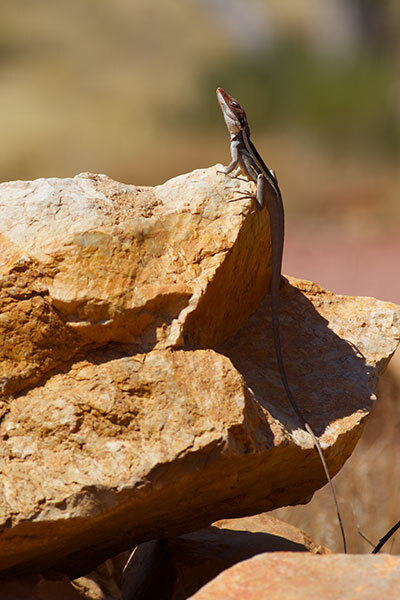 This guy was basking on some rocks near the banks of the Murchison River. Here's a juvenile, with a somewhat less pointy snout. 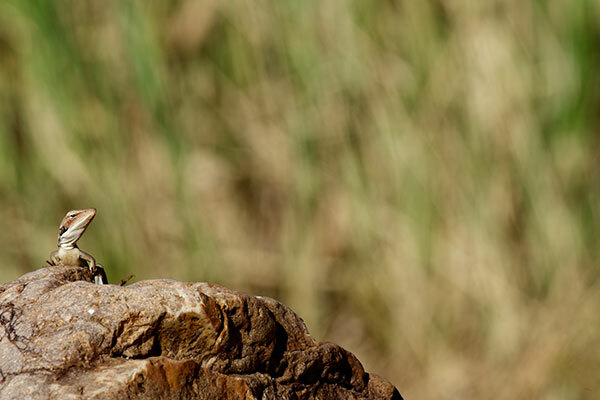 They are often found on the highest point in the area, surveying the landscape for potential food and predators. 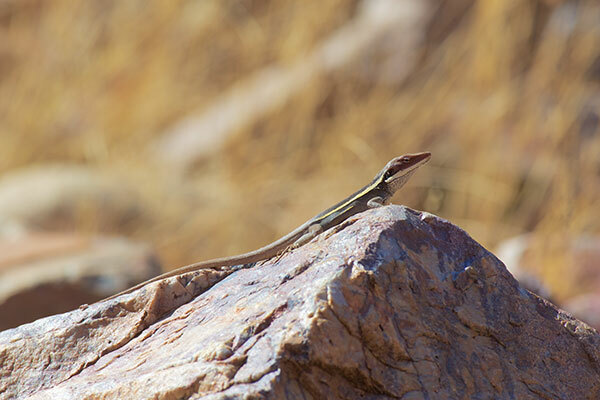 In three days of hikes around the West MacDonnell Ranges, this was the only species of lizard I saw in the daytime. Fortunately I saw many different interesting lizards at night. Did I say anything about their tails? Because I really think something should be said about their tails.